Price includes Caribiner and split ring. 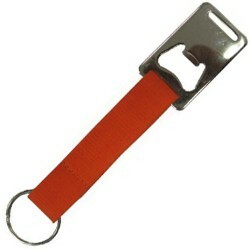 For many tradespeople, keeping their keys safe and out of the way of machinery, while still keeping them handy is an ongoing task, but a branded Short Strap Carabiner is the perfect way for your clients and staff to keep their keys available, while keeping them safe from being dropped or lost. 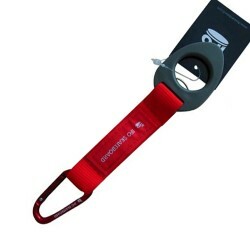 Our Short Strap Carabiner is available in a number of colours including black, green, orange, red and yellow letting you choose the right colour for your brand. 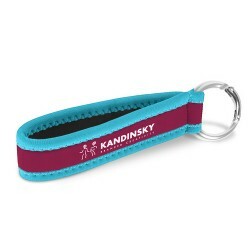 With an included split ring for attaching to keys and a carabiner for attaching to belt loops, this a great promotional opportunity for your company, getting your brand in front of potential customers who may not have otherwise known about you. These short straps have a great print size of 126mm x 16mm giving you plenty of printing space to help get your brand or message across. 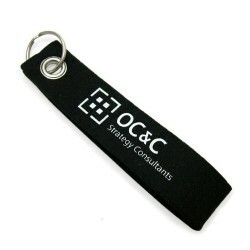 If you work with tradespeople and are looking for a new way of promoting your business, our branded Short Strap Carabiners are a great way to go.